As most of you know I have a very big love for KALE. Growing up my family would eat it every now and again but since living in Hawaii I’ve turned a new leaf and have become the biggest kale advocate. It all started when I was living in Hawaii and treating myself to a fresh kale & banana smoothie every morning. We’d eat it raw, as wraps for sandwiches (bread is really expensive out there), in soups and stir-fries and sometimes, if you were in a rush (was I ever really in a rush in Hawaii? ), by itself. Last spring, when I returned to the main land, I realized just how much eating kale had positively impacted my body, mind and spirit. So, I promised to celebrate and spread my love for Kale and the richness it offers to us all in so many ways. But, before that point, I was like most of you, who often wondered what else you could make with Kale besides Kale Soup? 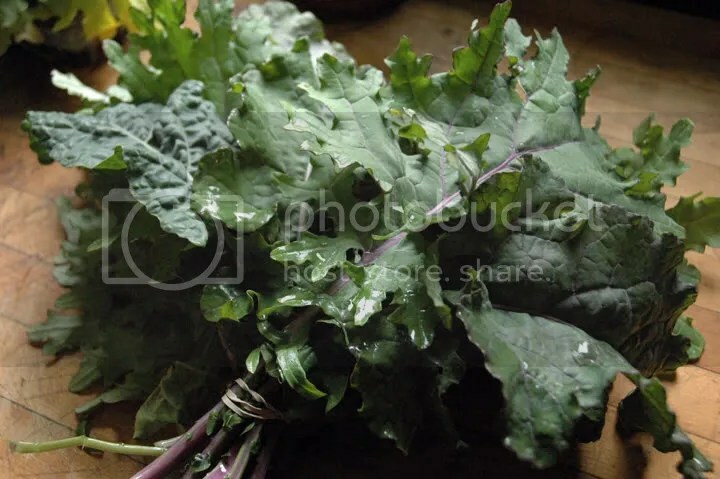 Kale is also a source of indole-3-carbinol, a chemical which boosts DNA repair in cells and appears to block the growth of cancer cells. 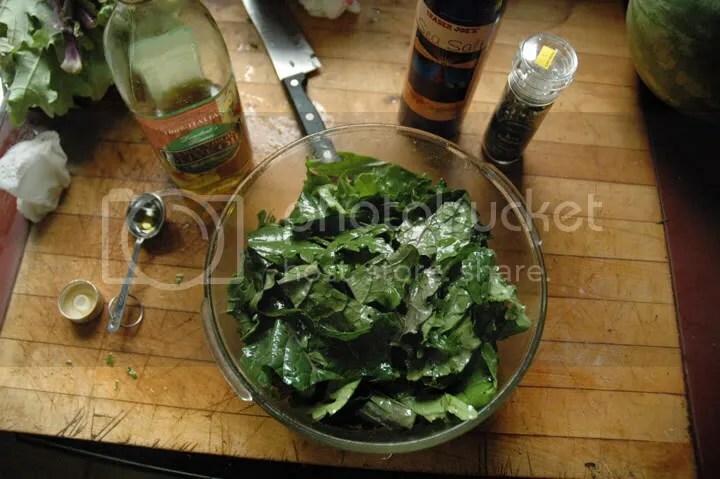 Kale is also a good source of carotenoids. Need I say more? Honestly. 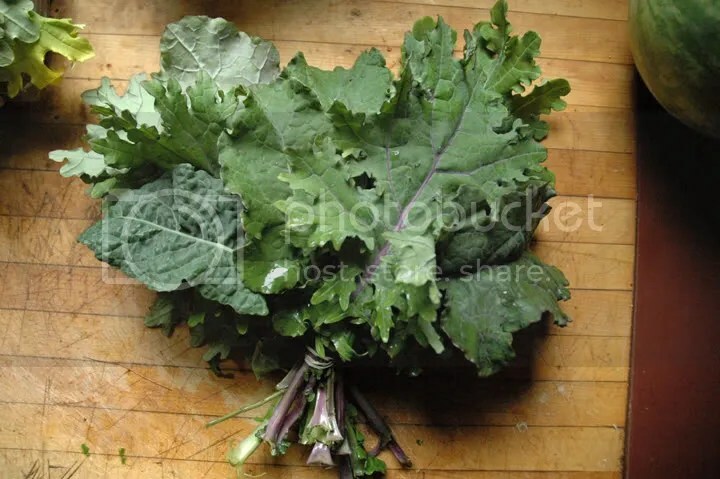 Chop it up and throw it in a veggie stirfry, grate it into long, thin strips and throw it on top of a salad, whip it up into a delicious kale smoothie or make some deliciously easy Kale Chips. And that’s where we’re going to start today. These chips are just as tasty as any potato chip (better in my opinion) and much better for you! Experiment with crispiness to figure out what tastes best to YOUR palette! Other seasoning options: cayenne, garlic, chili powder, cumin, sesame oil, sesame seeds etc. Be creative, have fun and try things out! 1. Preheat oven to 300°F for a shorter amount of cook time OR 220°F for about 40minutes – hour to keep it green, raw & crispy. Rinse and dry the kale. 2. Remove the stems by “stripping” the leaves from it. 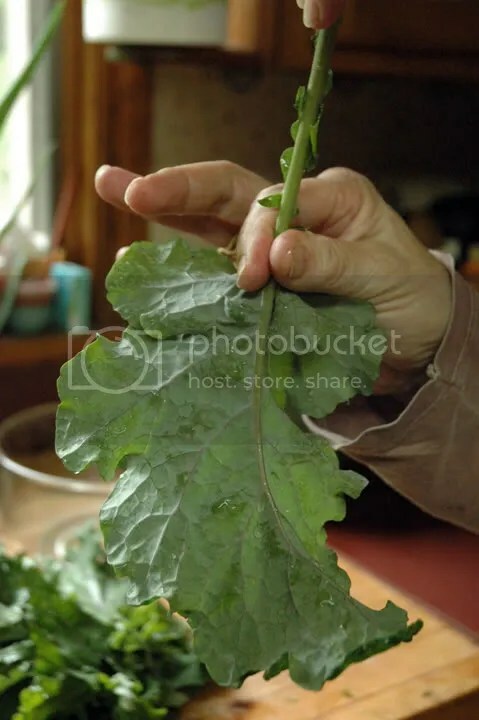 Use you thumb and forefinger at the base of the leaves and with a little bit of force “strip” it off the stem. 3. Cut into large pieces, toss with olive oil in a bowl then sprinkle with salt, pepper & any other seasonings you might enjoy. 4. 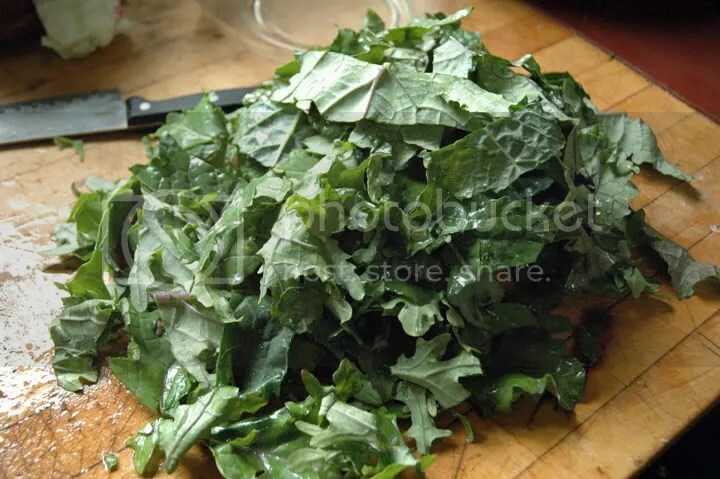 Arrange leaves in a single layer on a large baking sheet. 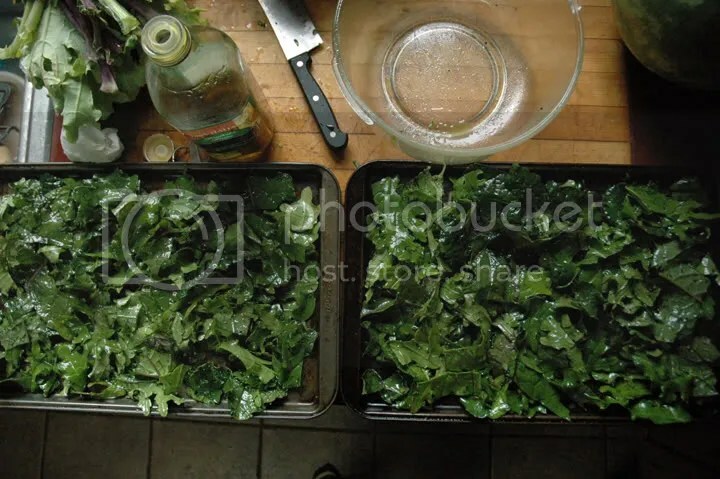 I used two baking sheets because I stripped two bouquets of kale. Some people use parchment paper for easy clean-up but I just put it right on the sheet. 5. Bake for 10-15, or until crisp. Or, if you are a raw foodie you can bake it at 220 for about 1 hour. 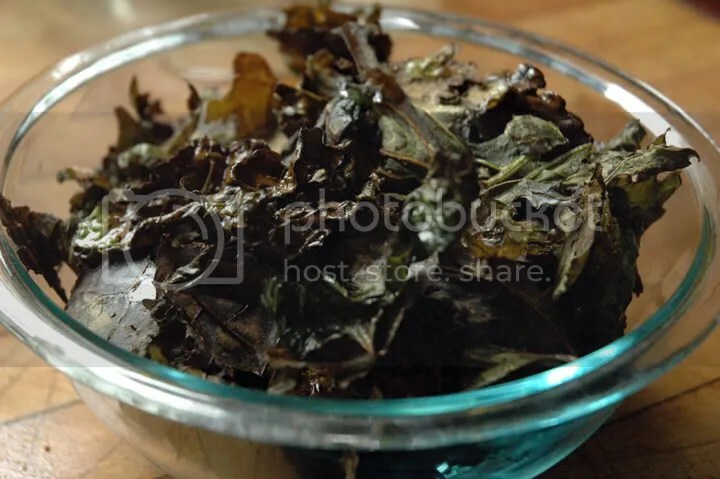 Bake until the leaves are crisp to the touch but still a dark green. If you’re thinking about using the chips for a seasoning on Popcorn or something like that – you can let them get really crispy and then hand crush/sprinkle them right over the bowl. Along with some dill, nutritional yeast, olive oil etc… YUM! Mmmmmmm. I love it too. In all the ways that you suggested eating it.